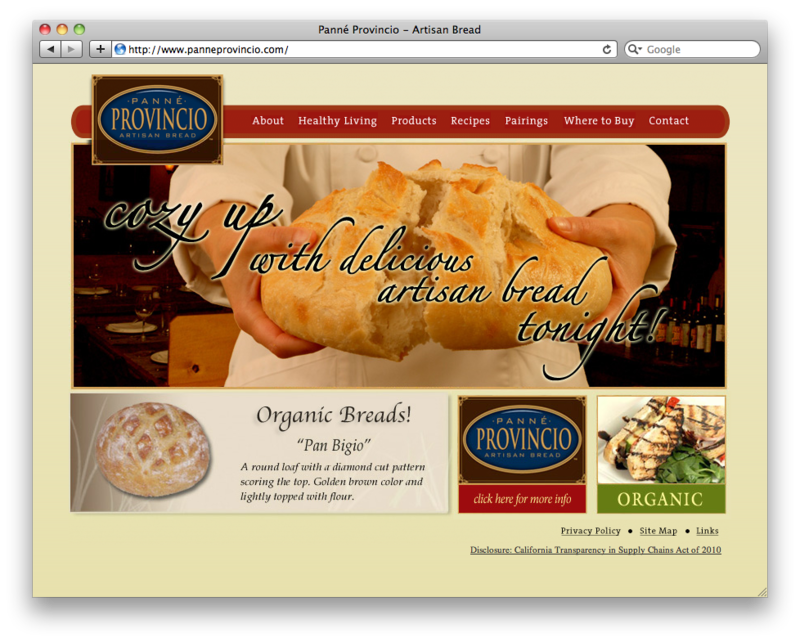 Delicious Artisan breads are a foodies delight, Panne Provincio makes crusty, chewy loaves baked from all natural ingredients in stone-hearth ovens, using authentic old-world recipes. It’s bread with substance, texture and flavor. To showcase their breadlines, Sparkfactor put together this website that is not only educational, but also has unique features like a parings calculator to match their breads with cheese, wines and other food.